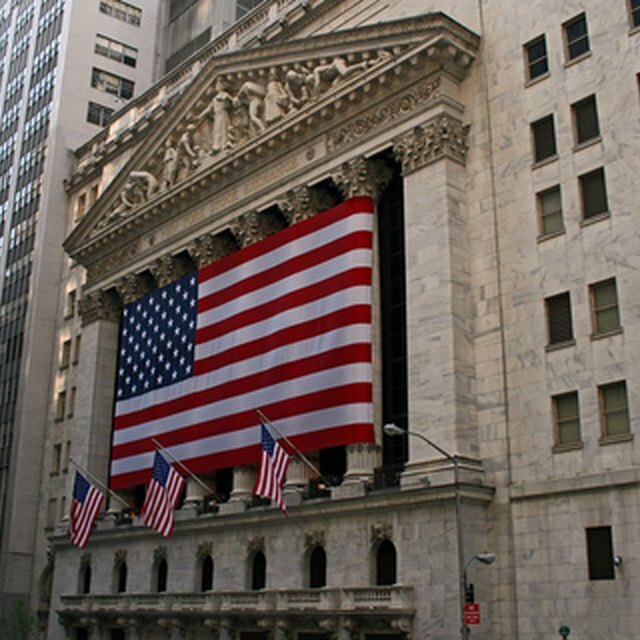 Today, most Americans are familiar with the three major U.S. stock exchanges, the New York Stock Exchange, the American Stock Exchange and the NASDAQ. However, most people don't know much about how the NASDAQ came to be, nor about its road to becoming a full-fledged national securities exchange 35 years later. These days, the NASDAQ is involved in numerous stock exchanges around the globe and does a hefty business in trading of exchange-traded funds, or ETFs. Understanding how the NASDAQ got here is a useful method of understanding the differences between the NASDAQ and the NYSE and how the two markets have evolved. In 1961, the US Congress authorized the Securities and Exchange Commission (SEC) to study the difficulty in trading of over-the-counter securities. Over-the-counter (OTC) securities were ones did not meet the minimum requirements to be listed on the bigger stock exchanges such as the New York Stock Exchange, or NYSE. The conclusion of the study was that automation might enable improved trading in OTC securities. As a result of the SEC study, the National Association of Securities Dealers, or NASD, founded the National Association of Securities Dealers Automated Quotations, or NASDAQ in 1971. The NASDAQ succeeds in providing a marketplace for OTC securities via a computerized trading system without a physical exchange floor. Since the NASDAQ was founded as a marketplace for the widely varied market of OTC stocks, there was no widely published index used for the NASDAQ. In 1985, the NASDAQ-100 was founded as an index of the largest non-financial companies listed on the NASDAQ based on their market capitalization. In 1994, the NASDAQ's annual share trading volume was larger than the NYSE's for the first time. How Did the New York Stock Exchange Start? When Was the Stock Market Created? What Stocks Make Up the Dow Jones Index? As technology-based companies began being founded in earnest at the beginning of what would become known as the Internet bubble, many of them could not meet the list requirements of the NYSE. As a result, the NASDAQ became the stock market of choice for many technology companies, including powerful companies such as Microsoft, Apple and Cisco. However, the NASDAQ was also home to many infamous bubble companies like Pets.com. This led to huge losses for many NASDAQ companies and the NASDAQ-100 when then Internet bubble was burst. In 1999, the NASDAQ moved its MarketSite into Times Square as a way of increasing its visibility. Technically, the NASDAQ was not a national stock exchange from its founding. It was actually a securities marketplace overseen and regulated by the NASD. In 2000, the membership of the NASDAQ voted to spin off the NASDAQ from the NASD as a for-profit company. In 2002, the NASDAQ purchased a large block of its stock from the NASD to continue moving toward independence. Also in that year, the NASDAQ published its first annual report for shareholders. In 2005, the NASDAQ transferred back to the NASD, its original business of trading and reporting for non-listed OTC securities. On January 13, 2006, the SEC formally approved the NASDAQ Stock Market to become a national securities exchange, freeing the new stock exchange from its final ties to the NASD. As a securities exchange, the NASDAQ is its own self-regulatory organization, which gives it the right to regulate and discipline members. In 2006, the NASDAQ attempted to purchase the London Stock Exchange (LSE); however, the deal eventually fell through when LSE shareholders voted overwhelmingly against the offer. In 2007, the NASDAQ started trading ETFs. Today, the NASDAQ lists approximately 3,200 companies and is the largest electronic U.S. stock market. Meanwhile, more shares trade on the NASDAQ each day than are traded on the New York Stock Exchange.